Another successful family reunion between the descendants of emigrants and their hometown area worked out in 2004. Steve contacted me in May 2004 shortly before his trip to Germany. 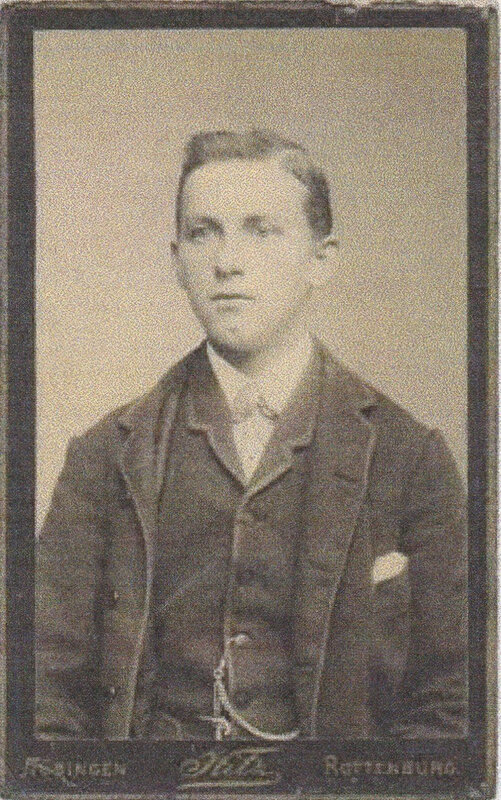 He was searching for his emigrated grandfather, Johannes Grauer born Aug 19, 1882 from Kusterdingen, who emigrated in 1906 to the U.S.
During some research we discovered that there are more than one connection to the Haerten area. Johannes Grauer married Anna Christina Riehle, the daughter of the emigrated Johann Adam Riehle from Maehringen, who was running a dairy farm in Edgerton Williams Co., OH. Johannes Grauer moved later on from Edgerton to Elkhart, IN, where he did work for the New York Central Railway. During the research I noticed that one my sisters best friend, Renate Riehle from Maehringen was a descendant of Johann Adam’s father. Johann Jacob, as well. A meeting with his relatives on Steve’s trip to Germany was easy to arrange in that case. With the engaged help of the Historical Society we could also resolve the open questions in respect of Johannes Grauer and we could provide Steve with the ancestry of Johannes and also found living descendants of Johannes brother, Johann Georg. 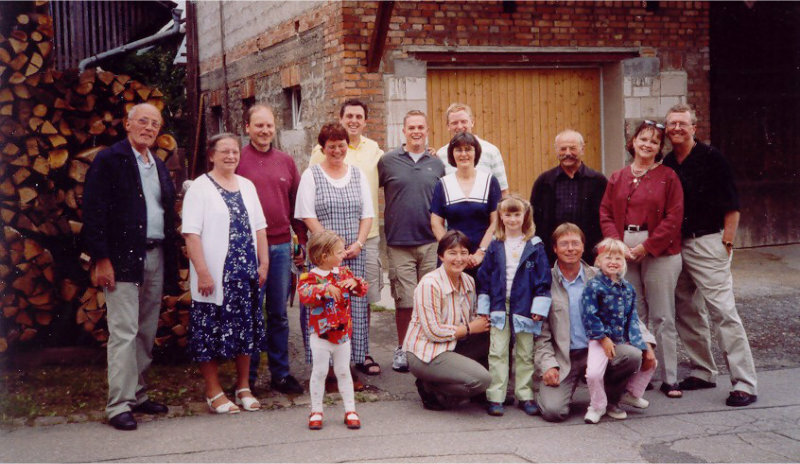 On June 20, 2004 it was time for Steve and his family to meet his German family for the first time (see picture above). Three days later Steve and his family were visiting Munich and we had arranged a dinner together. We had a lot of fun that evening. 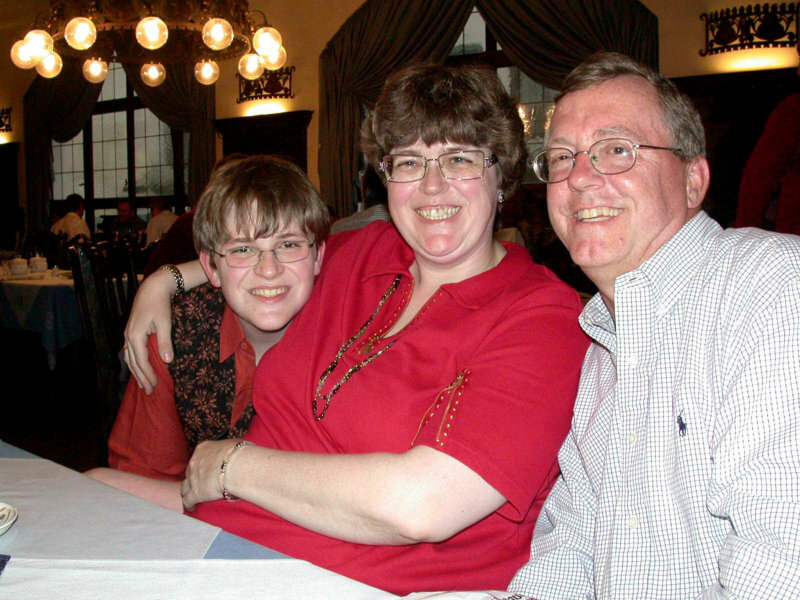 Based on the information provided by Steve I was successful to make the connection to the Riehle descendants in Edgerton as well. But this will be the topic of another post.